Vaara stands for two things in Finnish language. But it does not mean that Vaara knife is suitable for two things only. 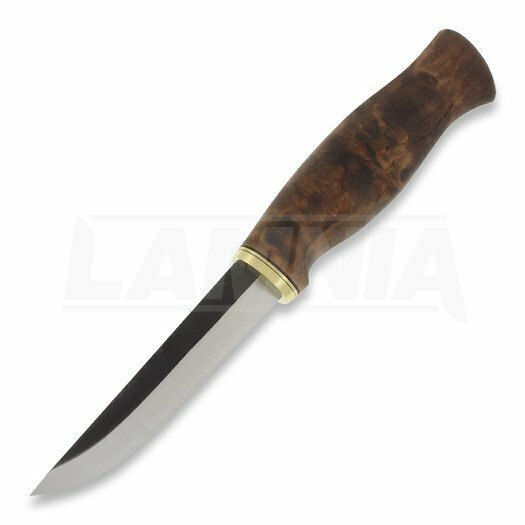 One of the meanings is danger and Vaara is a dangerously sharp and versatile knife. The blade has a black spine and it is made from carbon steel. Curly birch handle has natural liveliness of the wood with color changing in all shades of brown. Finished with a polished brass bolster. 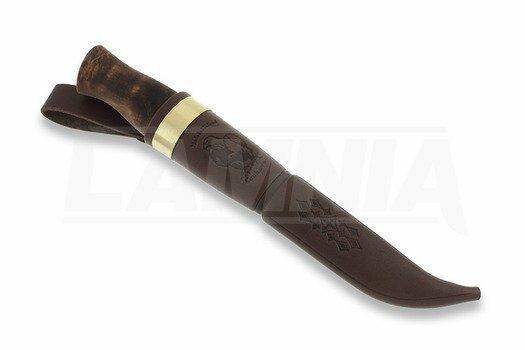 Vaara comes with a decorated brown leather sheath with plastic insert. $56.01 remaining until FREE shipping! 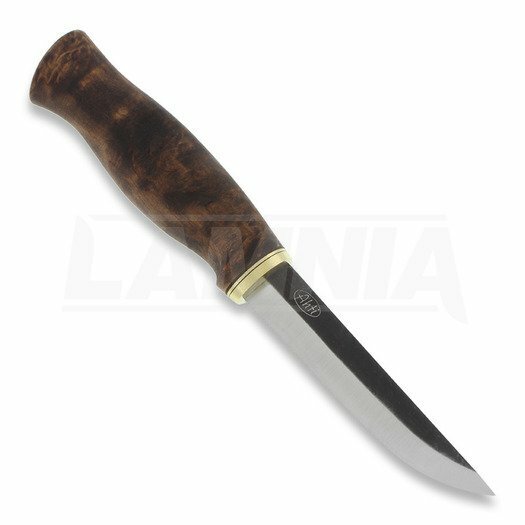 Ahti knives are made in Kauhava, Finland by the knife-maker Reino Kamppila. The blades are made ​​of carbon-vanadium alloy steel. Curly birch handles are oiled with brown colored linseed oil and the brass fittings are polished.